You’ve likely seen them online, on the endcaps of your local stores and on Pinterest: adult coloring books. So, are they just a passing trend or is there something more to it? 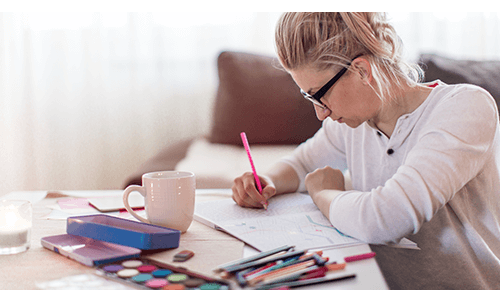 While Cheryl Rapose, M.Ed., LISW, who works in the Mindfulness Programs at OhioHealth, can’t predict the future, she says that coloring can be considered a mindfulness practice, and the public’s interest in these is continuing to expand. “I don’t believe that interest in mindfulness practices will ever diminish, but will continue to expand. Coloring, if engaged in with conscious attention (i.e., paying attention to what you are doing and feeling in the moment that you are in), could certainly be considered a mindfulness practice,” Rapose explains. 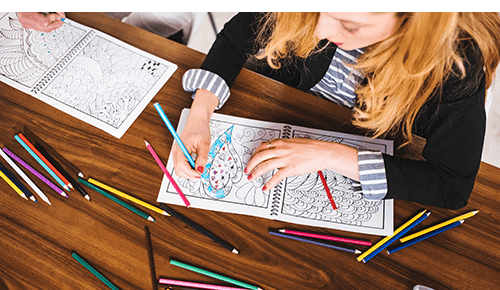 The listicles are everywhere: 10 Therapeutic Benefits of Coloring Books for Adults, 7 Benefits of Coloring For Adults and Why You Should Try It, etc. According to Rapose, when the mind is attending in a free and easy way, it relaxes. “As an active meditation, attending to such a simple task as coloring and repetitive motion affords the possibility of simply being with our experience as it unfolds, especially if we let go of any particular expectation, judgment or agenda,” she says. Rapose said that for people that have had difficulty with sitting meditation — or for those that would like to experience another meditative avenue — the act of coloring can be of great benefit and enjoyment. From secret gardens to forests to inspirational quotes, Amazon and your local shops have no shortage of options for coloring books. Rapose said her first experience with adult coloring books was with mandala coloring books. “Mandala is basically an ancient form of meditative art that might be defined as a symbol, diagram or geometric pattern, and there are many. The design is such that it assists in focusing attention and creating a meditation state. It is known to relax the mind, body and spirit while allowing you to explore your creative side,” Rapose says. Because of the wide variety of subjects, Rapose suggests exploring the options and starting with whichever design or scene you are drawn to. The same idea goes for which medium to use for the actual coloring. “Feel free to explore various color mediums such as colored pencils, felt tips, crayons, pens, etc. Each will feel differently in the hand and in the movement. Go with what appeals to you,” she advises. 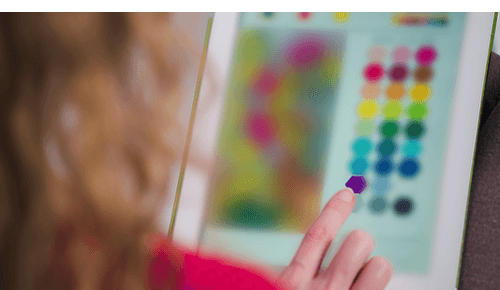 You may have discovered apps on your technology sidekicks that advertise the same coloring experience on your phone or tablet. While Rapose hasn’t tried such apps, she says she can’t imaginee the experience could be anywhere near as comparable. “I feel that a wider and more spacious field, if you will, is much more conducive in terms of the visual, more complete engagement of the body in the process, greater appreciation of detail and color, etc. Technology removes us, I think, from the medium and process to a significant degree,” she says. But, she added, mindfulness invites curiosity and openness, so if an app sounds more appealing to you, check it out. “It certainly would be more focused and inviting of a practice than shuffling through Facebook or exploring current events,” she notes. Want more tips for relaxation? Read all of our best tips and advice here!